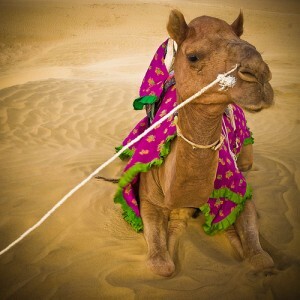 faith in divine AND tie up your camel! A lot of common sense will go very far in the next four weeks! The landscape is shifting and if you don't want to become confused, lost and down right like a spinning wind vane, then plant your feet FIRMLY on solid intention. Promises will be made. It is very unlikely that they will stay in the form that they are uttered. Desperation can color the canvas a shade that later is deem "out of stock". Jupiter in Libra WANTS THAT SUGAR! the rule is - Balance ---- MODERATION. Don't let your sensibilities go awol. Today, Sept 10 2016 is the last pass of Saturn sq to Neptune - there have been three- to date. First time the aspect was exact- introducing to you a new concept of stable vs fluid, and or reality at odds with imagination. There can be a 'challenge' to bring your hopes/wishes/dreams to the plane of your 3D life. So the first link asks- WHY? HOW? WHAT? (can I do). Second pass- TEST YOU. How's that game plan going? Is it? Revisions needed? Frustrations abound! What is in the news this last exact aspect? We have to address the continual denial of the need for CLEAN WATER and GOOD SOIL to LIVE. As I read in some marvelous post- "you can't drink oil." "and you can't grow food on contaminated soil" . THIS will continue to be an issue even though the exact aspect is one last time today. It ain't going away- this issue of - oil vs land clean water, race and police abuse, refugees that need a place to call home, Big Pharm being the biggest drug lord /peddler of them all, legend rock stars leaving earth for astro plane nine. These are the themes that were ushered in with Saturn square Neptune. What's the common man to do? Fight the good fight. DO NOT SIT BACK AND LET SOMEONE ELSE DEAL WITH IT!!!! Do your part! Don't be lazy. If these issues of how we are to be-as a global family- speak to you - then do something! Pick your cause~ there are so many areas that need healing and understanding now. And they will touch everyone at one point in their life. If you don't think so, then you have been asleep. Social activism is great seva. Sept 16th will bring a Lunar Eclipse at 24' Pisces 20" at 12:05 pm PDT. (full moon with sunglasses on). It will be visible from Europe, Africa, Asia and Australia. Those countries will see big shifts in the next six months. Well, where the Pisces / Virgo axis falls in your chart- is the area that will bring some doors open/ doors close. If you have planets around the 21-28 degree in Pisces, Sag, Virgo, or Gemini...(espcially personal ones- Sun-Moon, Mercury, Venus, Mars) well then.......get ready to rock and roll. And repeat after me: CHANGE IS A GOOD THING. CHANGE IS A GOOD THING, AND I THANK MY LUCKY STARS AND ASTROLOGER FOR MAKING ME AWARE OF JUST HOW MUCH I CAN AND WILL GROW. You can send me donations via paypal. Mercury will continue to allow you to review, rewrite, clean out the closets, and fix all that car stuff until the 22nd of Sept. (or at least figure out how much its going to cost). On Sept 26th Pluto stations direct. Look out.........the election just got insane...and wowowowowowow is big government using its weight. For you? - Full steam ahead on all that has meaning. On Sept 27th Mars enters Capricorn. This is a match made in - "let's get this DONE" heaven. Mars so loves to be in Capricorn. The wheels of action are fueled with purpose and integrity and just watch how amazingly easy it is to be productive. Focus is at an all time high...... until mars gets close to Jupiter (1st week in Oct) and then OVER focus will be an issue.......we aren't all super athletics from Avalon, so keep it real. Back room deals over the election will be happening about now. So what's all this got to do with the Camel? And God ? We are all playing a role here on earth. Sometimes we get a bit carried away with our part and we think that its all about our tiny bit part that appears to be a super bit part. We sometimes get so very excited with the openings that appear in life, that we throw away all common sense. "Oh, god will protect me"...... Yes, divine is looking out for your highest good. But like my guru told me - (and 5 million other people) "When the pick- pocketer prays to divine for help, divine must too answer his prayers." And if you don't want to lose your camel, at least keep an eye on her!